I want to have group A manage membership in both group A and group B. How do I set that up? I have group A managing its own membership, but I can't figure out how to have group B's membership managed by group A. Not the answer you're looking for? 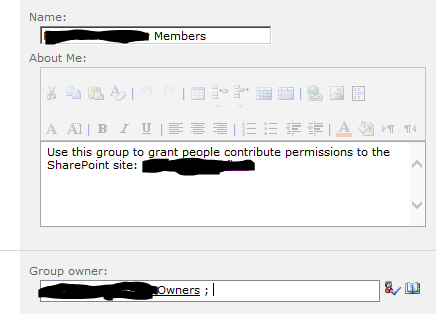 Browse other questions tagged sharepoint-enterprise security groups security-trimming or ask your own question. Why shouldn't I set group membership visibility to “Everyone”?